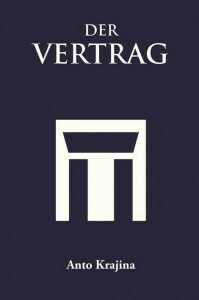 Der Vertrag is the original German novel that has been translated into English (i.e. The Contract). People who are afraid of life and of clear reasoning should not read The Contract. However, those who are looking for satisfactory answers to the most delicate questions that life poses should certainly read this book. Our history is full of tragic events and strange ideas in politics, science, religion, art and in every other sector of human existence. The consequence of that fact is that people have become completely insensitive – they can hardly be surprised, let alone shocked, by anything anymore. The Contract is a vividly imagined novel that puts the whole of humankind before a large mirror and demands that it wakes with a start, that each of its members may shudder at the sight of itself. By the same author as The Window. As early as the age of four, Anto Krajina tended a tiny flock of sheep and goats. From the very start, his parents encouraged their children to learn foreign languages and awakened in them an interest in all kinds of intellectual activities. Since his earliest childhood, Anto Krajina has been a keen scholar of several important languages and a student of sciences as well as medicine, philosophy and mythology – always with the same zeal and the same goal: to grasp the essence of the human being and thus, of the universe. Anto Krajina has taught philosophy at Swiss schools and lives in Zurich.